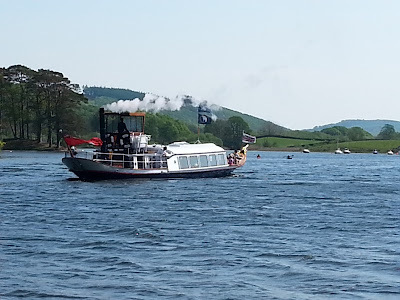 Next workshop: ‘Write on the Gondola’, June 18th workshop cost: £35 - this month we’re holding our workshop on the National Trust’s wonderful steam-powered boat the Gondola, on Coniston Water. Please note, places are limited and the workshop is now fully booked. There is a reserve list if you;d like to email me and add your name. Join us at Brantwood Coniston, former home of John Ruskin, for a weekend of poetry, good food, views and company. The course will run from 2pm Friday 24th June to 2pm Sunday 26th June 2015. Using a variety of writing prompts and stimuli new writing will be produced. There will be an opportunity for group feedback at the end of each session and one-to-one tutorials with the tutors on Sunday morning. This includes evening meals on Friday and Saturday and lunch on Saturday and Sunday. FRIDAY 24th June- 1pm at The Lodge: Welcome to Brantwood! 2-3.15pm – Introduction and Welcome - sharing of poems by other writers, brief discussion on each one - please bring one poem with you by another poet for this group share - no longer than one side of A4, thanks!